Next Labour Leader Odds: Who can replace Jeremy Corbyn? 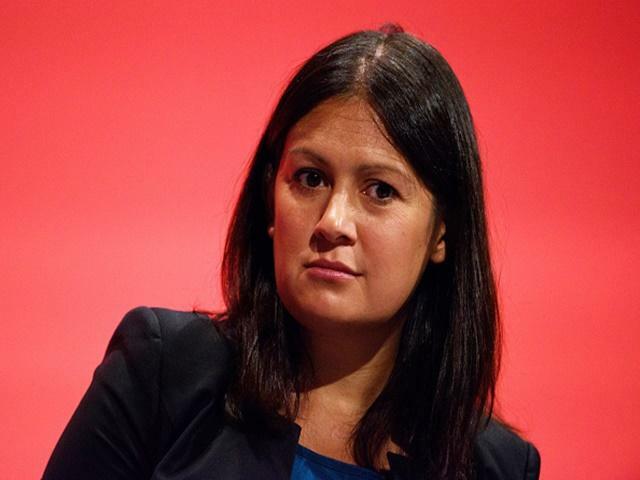 Could Lisa Nandy become Labour's first permanent female leader? "Until today, she had been scrupulously loyal to Corbyn...She has solid progressive credentials and the party is overdue a female leader. If throwing her hat into the ring, Lisa Nandy could win." This morning, the Labour leader was matched at [1.16] to lose the post before the next General Election - whenever that is. He's also been backed down to [1.35] to go before David Cameron steps down as Prime Minister. Although he has not resigned, reports that the Deputy Leader has told Corbyn to expect a leadership contest are significant. Watson may be the last bridge between Corbynites and the mainstream parliamentary party, and the most plausible unity candidate. Whereas Corbyn retains the support of union and members, Watson has very strong ties to both. His mandate comes from winning a strong deputy contest - in my view, he could have won the leadership if running. By directly taking on Rupert Murdoch over the phone hacking scandal, he earned valuable medals with the Left. Watson also understood the potential of social media much earlier than most and is effective in that pivotal sphere. All of this explains why he's the new favourite at [4.3]. Whenever the job becomes available, he'll be a huge runner, if he wants it. That is far from clear though and there's a good chance he'd rather remain deputy and perhaps kingmaker. For my money, Nandy's resignation is the most significant to date. Before Corbyn entered the last leadership contest, members were desperately hunting around for an alternative to the three establishment, New Labour era candidates. A Facebook campaign was launched to persuade Nandy, but she had just given birth and quickly ruled herself out. Up until today, she had been scrupulously loyal to Corbyn in her role as Shadow Environment Secretary and in numerous TV appearances. She has solid progressive credentials and the party is overdue a female leader. If throwing her hat into the ring, Nandy could win amongst both mainstream MPs and the members. She's a major contender and, according to well-placed journalist George Eaton, set to challenge Corbyn. The Barnsley MP is the next great hope of people often described as Blairites. That description is surely outdated but there are certainly a group of MPs that see Blair's ability to court Middle England as the key attribute in a leader. As a former soldier, Jarvis certainly ticks the image box. Here's the problem. Labour members are overwhelmingly anti-Blair and anybody backed by his supporters seems doomed from the start. Their preferred candidate last year, Liz Kendall, was backed into [3.7] after favourable coverage in newspapers like The Sun, yet got only 4%. Jarvis will need to be quite some communicator to appeal across the party, when the MPs most likely to support him stand accused of treachery against Corbyn. In six years as an MP, few could point to examples of Jarvis displaying such outstanding qualities. A very poor value bet in single figures. Benn's sacking - surely pre-empting a resignation - triggered the start of the coup, and he has been regarded as a prominent potential replacement ever since voting against his leader in last autumn's vote on war in Syria. The former Shadow Foreign Secretary's speech was hailed by anti-Corbynites in the press and politics. However the reverse applies when it comes to members who will choose the next leader. He who wields the dagger rarely inherits the crown, and Benn will have made a lot of enemies. Plus his previous leadership bid, for deputy in 2007, failed pretty badly, finishing fourth of six. There has been much speculation about Corbyn's closest ally, based on the idea that if the leader is ousted, the members will elect another hard-left candidate. That might be plausible were Corbyn to stand aside before a leadership contest but at the moment, that doesn't apply. Another problem is that McDonnell might struggle to even get enough MPs to earn a place on any future ballot. If they do oust Corbyn, they're hardly likely to choose someone from the hard-left. If it happens later after electoral failure, there will be little appetite for more of the same. Nevertheless the Shadow Chancellor is widely regarded to have performed better than his leader and has established himself as a prominent figure within the Labour movement. Another significant resignation, Eagle was very much one of the senior Shadow Cabinet members and has been reported as likely to challenge Corbyn. She's well-liked among MPs and could probably do well in that stage of any contest, but her appeal to members is highly questionable - she finished a distant fourth of five in the last deputy contest. Nor, during her recent PMQs appearance or a prominent role in the Remain campaign, was it clear that Eagle would be any more effective than Corbyn. Political markets always attract some strange gambles, so it wasn't that surprising to see the former Foreign Secretary backed into [11.0] at the weekend, despite not even being an MP. The theory goes that Labour chose the wrong brother in 2010 and their members will now see things differently. Don't bet on it. Besides the lack of evidence that he's interested, or the availablity of a seat in parliament, the membership has become even more anti-Blairite than it was when rejecting him six years ago. There remains a strong chance that Corbyn survives, at least in the short-term, bringing many more long-term prospects into the equation. None look more convincing than the son of former leader Neil, and his stock seems certain to rise fast. The husband of former Danish Prime Minister Helle Thorning-Schmidt has spent most of his career in Brussels or international institutions and will be a prominent contributor to the post-Brexit debate. Very few will better understand the details and implications of unwinding decades of EU legislation. Make no mistake, Kinnock is a political heavyweight, who has not come to Westminster with a view to a career on the backbenches. When historians look back on this period, Umunna's shock withdrawal from the last leadership contest will be regarded as a pivotal moment. He was the early favourite and likely pick of mainstream Labour MPs, widely seen as PM material. His exit left a huge void, which Corbyn filled. Could he come back? Definitely. He's young, articulate and hasn't burned too many bridges during this divisive period. If he decides to run, Umunna warrants consideration as he is probably the best media performer the party possesses. Starmer is another who members tried in vain to lure into the last contest, despite him only just arriving in parliament. The former Director of Public Prosecutions would be a very different type of Labour leader - a respected professional, immune from the usual attacks employed by their political and media enemies - and has long-term progressive credentials. There's no indication, that he is interested in the leadership, at least yet.